Which is the best HTC phone? So you've decided that HTC is the brand you want to spend the next 24 months of your life with - but that's not the end of the quest. You have several devices, price points and operating systems to choose from and it can all get a little bewildering. But which is the best HTC phone for you? Like Huawei and ZTE, HTC started life by building network-branded handsets, and has branched out and made their own name. The HTC Desire was the phone that truly launched it, and the Android OS, into the mainstream. With the launch of the Android 'One' line, and Windows Phone based '8' line, alongside the continuation of the Desire range, how does HTC's new slim lined range stack up? If you're fully committed to HTC and are desperate for a supersized screen to rival the likes of the Galaxy Note 3 and Xperia Z Ultra then you'll want to be picking up the One Max. With a full HD, 5.9-inch display there's a lot of screen on offer here, plus you get a 1.7GHz quad-core processor, 2GB of RAM, 16/32GB of internal storage, 4MP Ultrapixel rear camera and Android Jelly Bean. Thanks to the sheer size of the display and its full metal body though the HTC One Max is big and heavy, very heavy in fact. There is a fingerprint scanner on the back to soften the blow a little, but it's nowhere near as good as TouchID on the iPhone 5S. THe HTC 8S is an attractive, highly portable Windows Phone handset offering style and substance in a package which is intuitive. It's surprisingly slick and fast for a mid range phone. It's even got the edge over some top-end Windows Phone 8 handsets in at least one area - specifically the inclusion of a microSD card slot. The battery in the HTC 8S is average at best, web browsing can be a little slow and it doesn't do much to stand out in the apps or media department - but for the price it's a decent handset. The lowest specced model of the HTC range is the HTC Desire C. This might seem a little odd, given that the Desire range was once the jewel in the HTC crown. The big selling point of the HTC Desire C is the low price, so you might forgive the 600MHz processor, or the HVGA 3.5-inch screen. 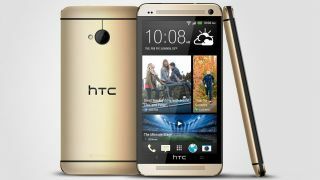 Looking at it though, you'd fool just about everyone as the HTC Desire C looks like a high end device. It's not got the grunt or the clout of the new One Series, but the big advantage the Desire C has over the competition is the addition of HTC Sense, an overlay which supercharges the device compared to the boring stock Android. The recent Windows Phone 8 launch means that new devices such as the brightly coloured HTC 8X are the hot topic of conversation. The HD display with 342ppi easily matches the iPhone for clarity, and the dual-core 1.5GHz processor powers WP8 along with aplomb. Like the One X, it doesn't come with microSD support, which is a little frustrating given that this is now supported by WP8. However, it's a strong handset with a number of top features, including Beats Audio and a dedicated internal amplifier... plus we're digging the alternative design.